Teen Mindfulness Night has moved! We are now holding this twice-monthly event in the Peace in Schools office in SE Portland, on the first and third Thursday of the month. Please note that in 2019, Teen Night is changing from the first and third Mondays to the first and third Thursdays of the month. Teen Nights are usually the 1st and 3rd Thursday of the month, except holidays. In 2019, Teen Night is in a new location at the Peace in Schools Office! We’re located at 959 SE Division St, Suite 325, in Portland (Google Map). Our office is conveniently located near the Orange Line MAX and bus lines 2, 9, 17 and 70, and is wheelchair accessible. Enter on SE 9th Ave and head straight back to the elevators on the left; we’re on the third floor. For any teens ages 14-19 — all are welcome! Absolutely no experience required, we're all beginners here. Keep Calm is led by Peace in Schools mindfulness teachers. Under 18? Please bring a signed waiver release form from your parent or guardian in order to attend the event. Click here to fill out waiver. Peace in Schools mindfulness programs help support the emotional, physical and mental health of teens. 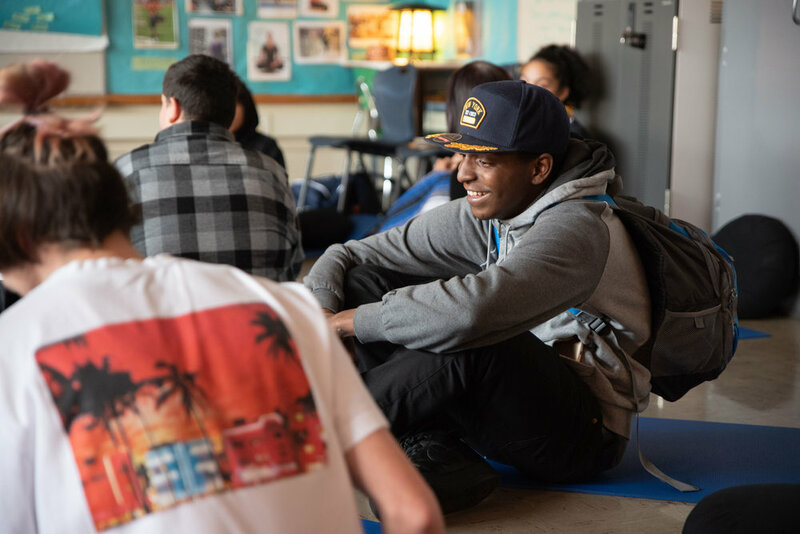 In 2014, Peace in Schools launched the first for-credit high school mindfulness course in the nation. We're now in ten Portland area high schools. 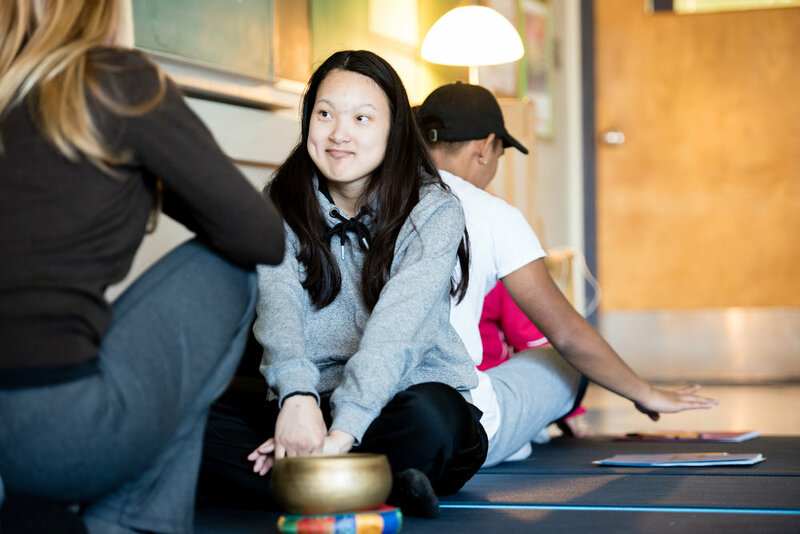 We believe mindfulness leads to safer schools and a more peaceful world.